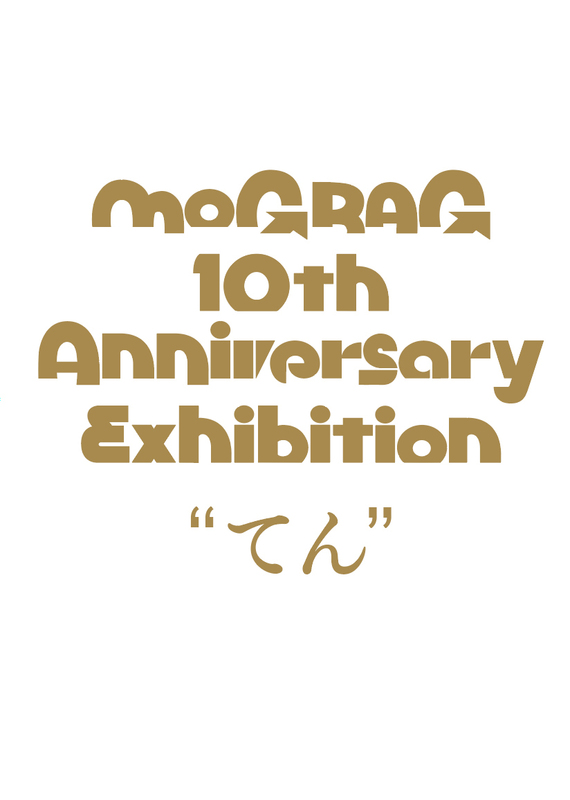 ▶mograg 10th Anniversary Exhibition "てん"
mograg 10th Anniversary Exhibition "てん"
"KUMO NO TATEMONO(A building of clouds)"
This time, we hold on a self organized exhibition named "KUMO NO TATEMONO(A building of clouds)" at Q2, in Kobe. "Q2" is an old warehouse on the 4th jetty which is just under the Kobe Bridge. It used to be the relay point of trade where people come and go. However, the most parts of functions have been left recently. Because of the time? Because of the location? This building and the space are so peculiar somehow. As clouds change forms in flow of time, the building, the works of art, and the relation between the building and the works of art can be said that it is the happening in flow of time as well. We hope that you go through the building and the peculiar time. 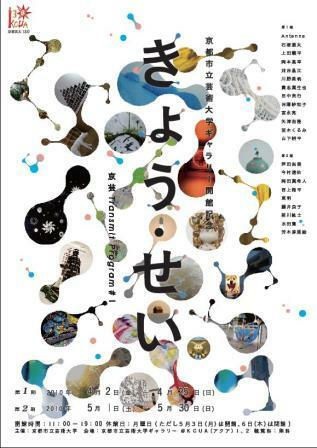 I will participate in exhibition that named "Kyoto City University of Arts Transmit Program #04 Kyoto Studio" at Kyoto City University of Arts Art Gallery @KCUA. I'll join in this project as member of "Muko Studio". 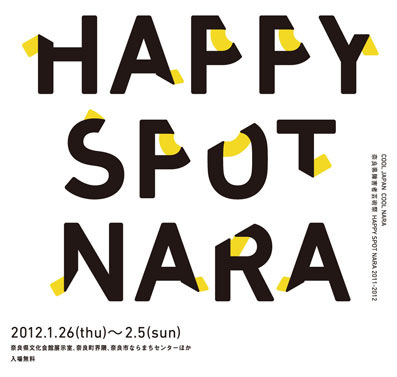 Please come this show if you come to be Kyoto. 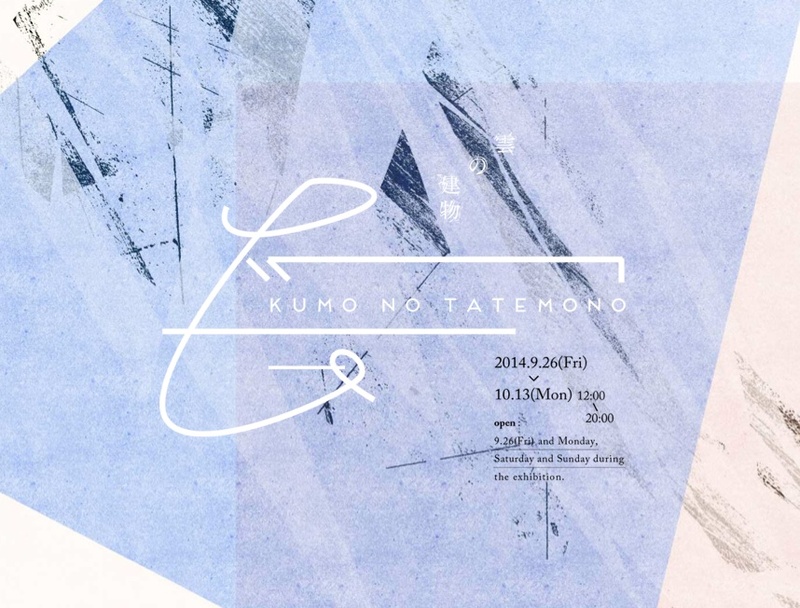 We would like to announce “KCUA Transmit Program #04: KYOTO STUDIO” Exhibition, held at the Kyoto City University of Arts Gallery @KCUA. The KCUA Transmit Program series has, since opening in 2010, been a group exhibition focusing on graduate students with “KCUA Transmit Program #01: kyou / sei Exhibition” and “KCUA Transmit Program #02: tenchi Exhibition,” and moving on later to include not just this universities alumni but those from other establishments as well, in a group exhibition for up-and-coming young artists entitled, “KCUA Transmit Program #03: Métis.” The current 4th exhibition, “KCUA Transmit Program #04: KYOTO STUDIO,” is intended to implement an extensive outreach support activity for young contemporary artists. 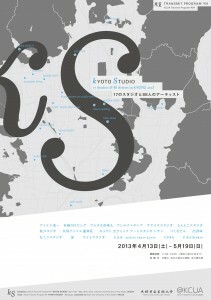 It’s said that Kyoto is dotted with over 30 places called “Kyoudou Studios” (shared studios or atelier). In these, several artist share the space together for the creation of artworks. They have an economic feature of mutual rent-sharing, but they also serve as a community and a place of exchange for artists. This exhibition will reproduce 17 shared studios within the exhibition itself, and an exhibition of artworks by artists attached to each studio will be held within those. 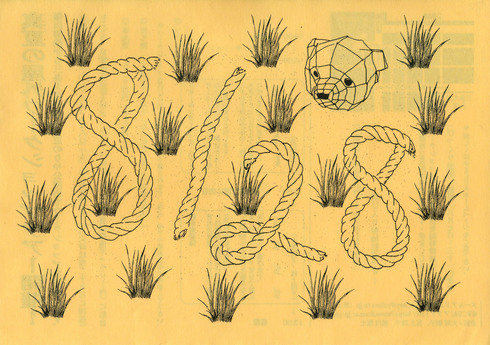 Exhibiting artsts are 88 strong and artworks are expected to exceed 100. The starting point of the exhibition were the “Kyoto Open Studio” events; independent initatives of the artists themselves. 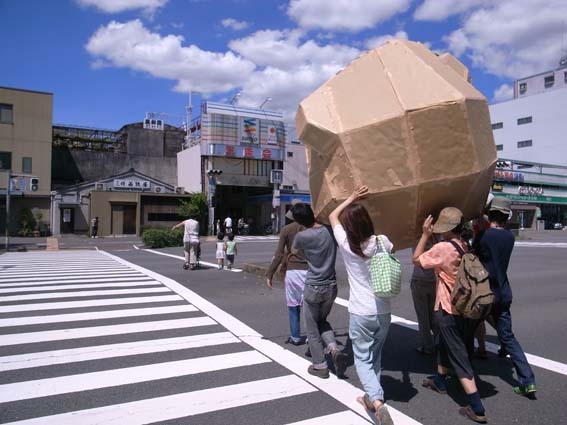 “Kyoto Open Studio” has been held every year since 2009, with shared studios throughout Kyoto opening their studio spaces simeltaneously—publicly exhibiting spaces they normally create works in—and exhibiting their artworks there. Many of the exhibitors at this exhibition are comprised of shared studios and artists who experienced previous “Kyoto Open Studio” events. 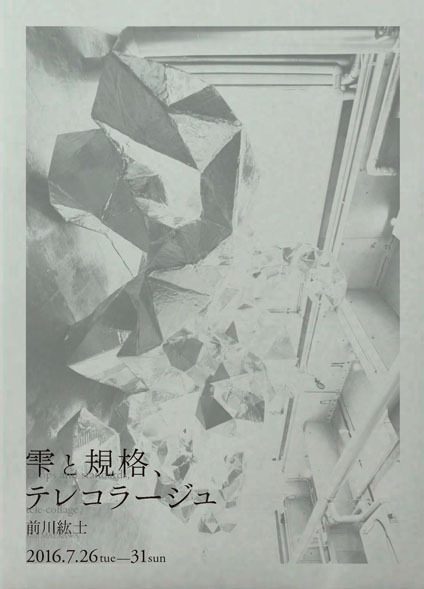 We have taken “Kyoto Open Studio” one step further in this current exhibition, by consolidating the actual places of production of the artists (normally closed) into the spaces available at @KCUA. In addition, we have published an artist catalogue by the same name, compiling all exhibiting artists and studios. We hope to explore the posibilities of connecting this relaxed art community to larger currents by consolidating the various production locations, artists continuing creative activities, conversations and thoughts about art in the streets of Kyoto into one piece of information: an exhibition and publication. By including the inevitable confusion and friction produced and communicating everything as a single, coherent piece of information, we expect this opportunity to verify the way contemporary, ongoing art should be, and to show the very real potential it holds. I will hold an exhibition. Works from Artist in Residency at Treasure Hill Artist village in Taipei.